It’s a Tsunami Friday as Baahubali 2 has hit silver screens and it promises to take the country by storm. At most theaters in Mumbai, first shows were running packed and needless to say audience loved every bit of this Rajamouli offering. At Fun cinemas, cinegoers sounded ecstatic after watching the first show of Baahubali 2. Right from the first frame to the last, everyone felt delighted and thrilled to bits. The action, riveting story, the suspense, romance and drama dished out made viewers happy to no end. For many, it was a Prabhas show all the way. Right from his well- chiseled body to his charming personality, the man from South dominated and carried the movie on his shoulders. Not to forget Rana Dagubatti who proved to be the able nemesis. The VFX came in for lavish praise as fans found every single frame drool worthy. And did they get their answer to the million dollar question- Why did Kattapa kill Baahuabli? Oh yes they did. We don’t want to be the spoiler alert here but speaking of Kattapa, fans felt an iconic character like his would never ever be made in Hindi cinema. The stunning climax of the movie also made for a visually delightful spectacle for audience. 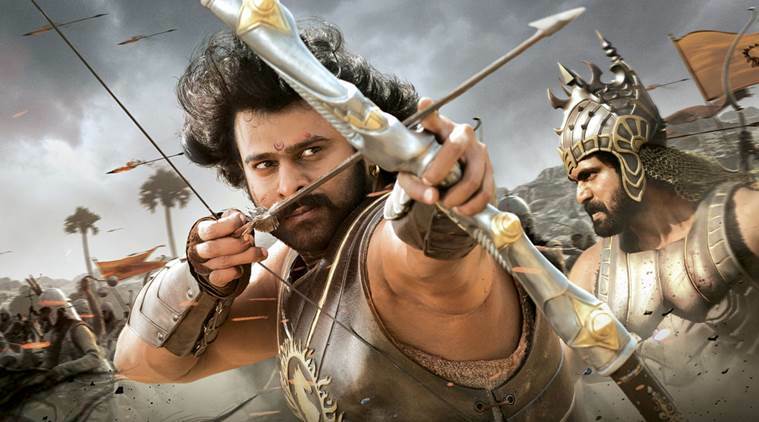 It seems Baahubali 2 is well on its way to create box-office history.